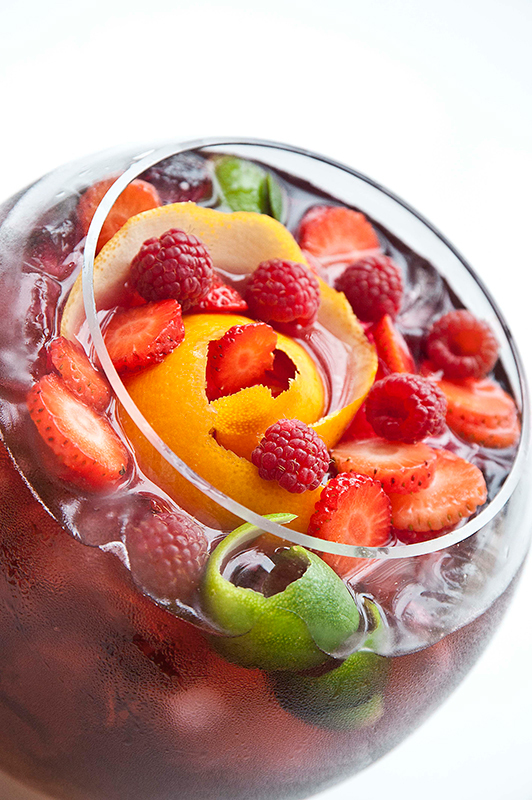 Pour all the liqueurs, fruits, peels, sugar and cinnamon in a jug. Stir well and let it stand in cold for 1 hour. 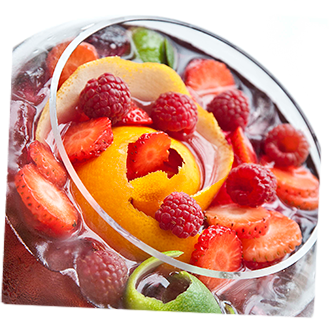 At the time of serving, add the wine well-chilled, the soda, ice and stir gently.